Integrate X-Cart with your ERP, accounting systems and marketplace vendors. Our platform automates in real-time your sales orders, inventory, customer, product and shipping/tracking data between your systems. 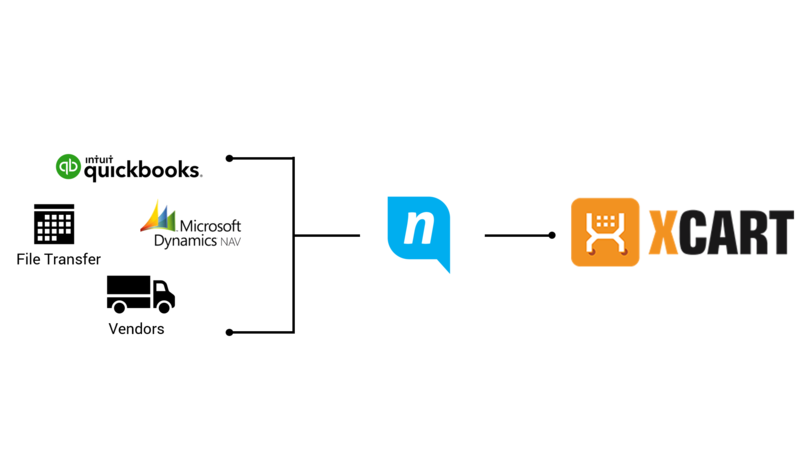 nChannel automates B2C and B2B processes between X-Cart and your ERP and accounting systems. Our platform eliminates manual data entry for the movement of sales orders, customer data, shipping status, inventory updates and product information, which can save you thousands of dollars annually in staff time and costly mistakes. nChannel helps integrate your supply chain so you can improve your financial health and build a foundation for a strong customer experience. With unmatched platform reliability and support, nChannel gives you the confidence that data is flowing flawlessly between your systems. We’re designed to run in real-time in the background so you don’t have to worry about your integration. 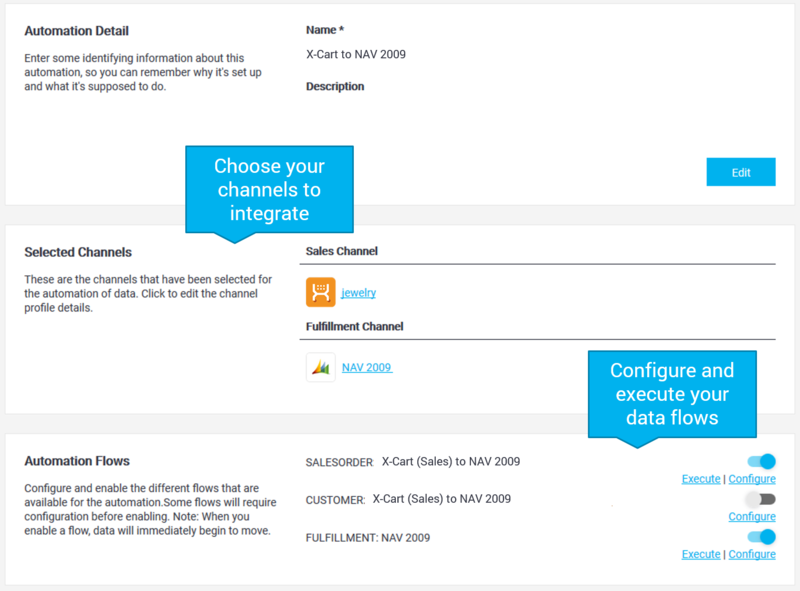 Along with our X-Cart Connector, nChannel offers a library of pre-built connectors to other ERP and accounting systems. Work with our team to leverage our connector’s out-of-the-box functionality and configure workflows between them to your needs. Contact nChannel to learn more!